Your face looks to be in pristine condition, with a little stubble growing out of it. You then decide to give it a little shave to achieve silky smooth cheeks. The next morning when you wake up there’s a pimple looking inflamed spot on your face with a visible hair in the center of it. Although it looks like a pimple or even acne, it’s not. 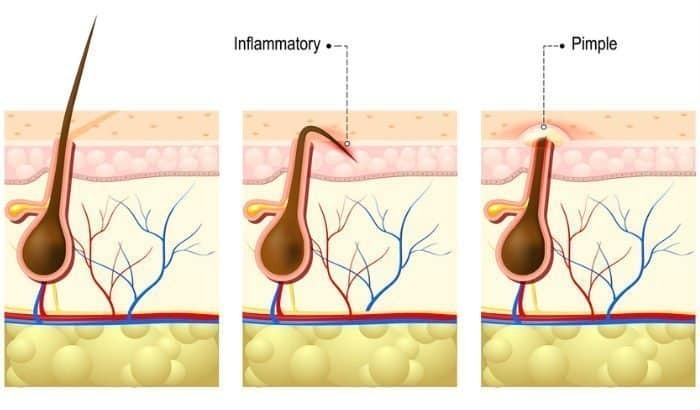 It’s an ingrown facial hair that has caused inflammation underneath the skin in the hair follicle (folliculitis). What has essentially happened, is that you cut the hair too close from the edge of the skin, and now the strand didn’t manage to find its way out anymore. Instead, the beard hair curled and grew back in the skin. 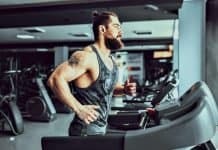 You may be thinking it would be a great idea to grab the tweezers and pull that ingrown beard hair out of there and back to freedom, but don’t do that, it can worsen the inflammation and is extremely painful. The main reason ingrown beard hairs occur is shaving, and there’s a perfectly logical explanation for that. 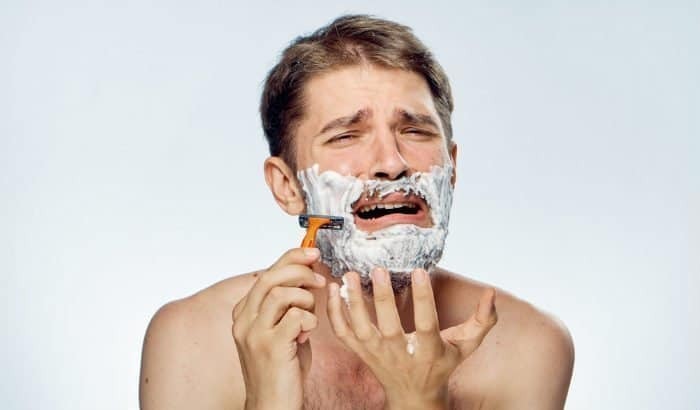 You see when you shave down the facial hair extremely close to the skin surface – which is what most razors try to achieve – you create the perfect breeding grounds for a hair to get inflamed and start growing against the skin. 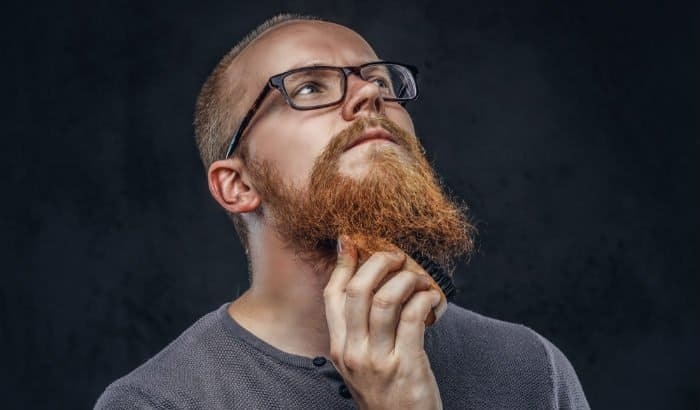 If you have a curly beard, the ingrown hair will likely grow out a bit and then loop down under the skin again. This can happen for all men, but it is especially common in black men who are genetically prone to curly and coarse facial hair growth. It’s estimated that up to 80% of the men who get razor bumps (another name for ingrown beard hairs) are black. Anyway, it doesn’t matter what race you are, the prevention of razor bumps and shaving-related ingrown beard hairs is still the same. Don’t shave too close to the skin, opt for stubble trimmer instead of clean shave. Never shave against the grain. It’s a myth that this would improve growth. 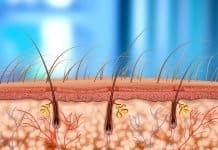 If you already have some ingrown inflamed hairs, stop shaving until they heal. 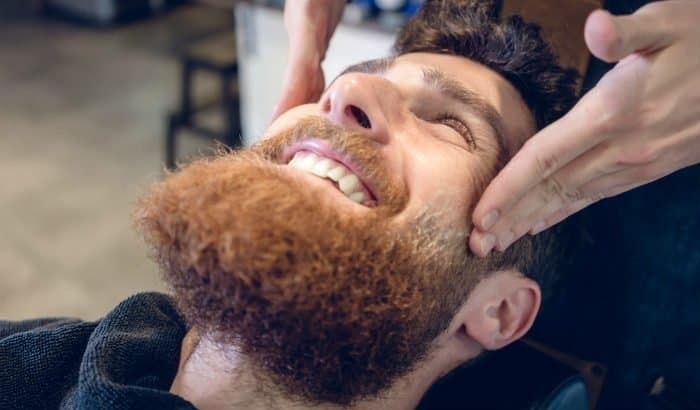 Exfoliating the skin underneath your beard is one of the best ways to prevent the facial hair from getting stuck and inflamed. This is because it removes dead skin cells from your pores which could otherwise block the natural growth pathway of the beard hairs. Another benefit is that massaging the exfoliating scrub into your skin also teases out the hairs into their natural growth direction. 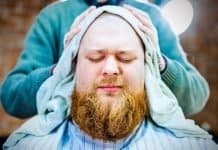 If for example one of your beard hairs was about to start growing against the skin, the light massage and exfoliation can loosen it up and allow it to grow normally. But how often should you exfoliate the beard skin? 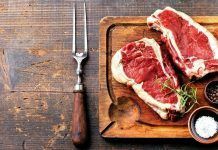 – As a rule of thumb, no more than 1-2 times per week. If you exfoliate too often, you will strip away the natural moisturizing sebum oils that are necessary for healthy beard growth. If you shave your face frequently, then consider exfoliating shortly after. In our opinion, every beardsman should own a good quality beard brush, and go through the mane with that on a daily basis. 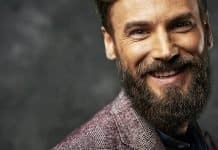 Brushing the beard has a myriad of benefits, like stimulating the natural sebum oils, evenly distributing the beard oil from the roots to the tips, and helping to style and align your facial hair to the direction you want it to go. 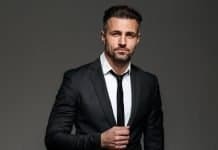 But when it comes to preventing ingrown facial hairs, beard brush works by removing dead skin cells from the pores, which naturally aids their growth as there will be no blockages. What kind of beard brush should I choose? 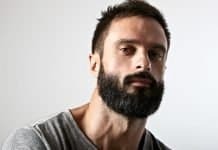 – We dig deep on the different beard brushes in our dedicated article, but as a quick rule of thumb; boar bristles are the best material, and the longer the beard, the stiffer the bristles should be. Nobody likes a dry beard. 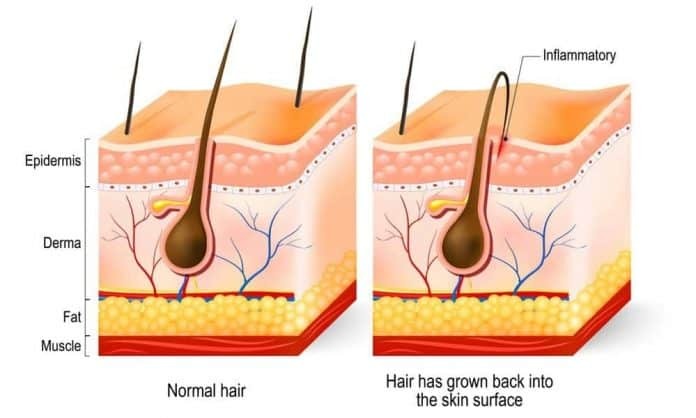 It exposes you to a whole host of beard issues such as the nasty beardruff, rashes, beard split-ends, and you guessed it; inflammation and ingrown hairs. Luckily, dry skin under the beard is extremely easy to remedy: just use a good moisturizer occasionally and you should be good. I’d recommend a light dexpanthenol cream for that purpose. And of course, you can’t forget the beard itself. We recommend a light jojoba oil based beard oil to be used right after you shower or wash your face (to seal in the moisture). 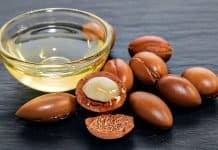 Why jojoba-based beard oil you ask? Well, jojoba has some naturally occurring iodine in it, which is excellent at preventing inflammation topically. No. The worst thing you can do is to get a pair of tweezers and pluck that sucker right off. I know it may be tempting, but 99% of the time it will only result in unnecessary pain and further inflammation. Be patient and stop fiddling and touching the inflamed pimple. Resist the urge to shave, wax, or pluck the ingrown facial hair out. Gently exfoliate the area once per day and follow up with jojoba based moisturizer. To quickly reduce the inflammation, try aspirin, vitamin E, and drink plenty of water. With the above tips, you should see the ingrown hair resolve itself within a week. 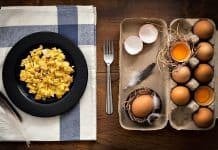 If that doesn’t happen and you can’t bear waiting any longer, consider getting in touch with a professional who may assist you in removing it. Ingrown beard hair is painful, sensitive, and it looks bad. 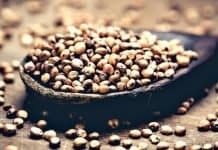 Luckily, there are many natural methods to get rid of them (and no, plucking is not one of those, even though that’s the most tempting option for many). 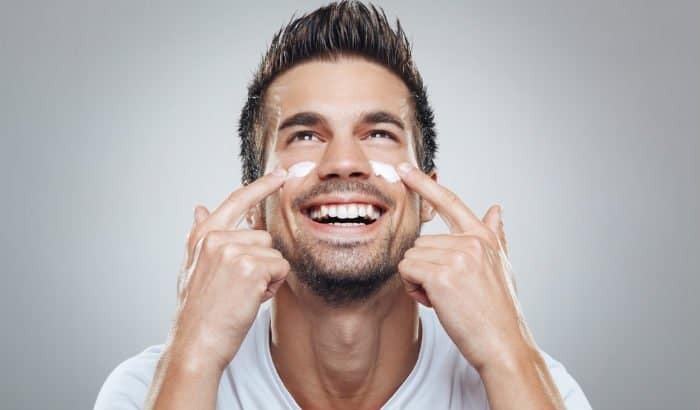 The best way to get rid of ingrown hairs on the face is preventing them from ever happening, and the easiest way to do that is to just stop shaving so close to the skin. Forget the idea of “clean shaven” and rock a stubble or a nice beard instead. 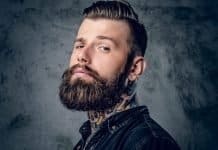 Heck, even science says that women tend to prefer a stubble or beard instead of the constantly hyped up baby-face-look that the razor industry forces on us.